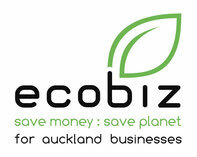 Waste Not Consulting assisted with the development of the 2010 EcoBiz programme for Auckland businesses, sponsored by each of the councils in the region. Waste Not Consulting was the EcoBiz Programme Coordinator, working alongside the councils to facilitate delivery of the EcoBiz Programme. 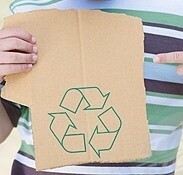 Waste Not was contracted by Landcare Research to provide consulting services to businesses signed up to the EnviroSmart® programme in the Auckland region from 2006 until 2009. The EnviroSmart® programme was a two-year environmental management programme sponsored by councils and Ministry for the Environment. Phase One of Tauranga District Council's cleaner production project for small businesses involved developing six businesses as "advocates" for later phases of the project. Waste Not worked with businesses in three sectors, not-for-profit, residential construction, and restaurants/ food preparation. Environmental audits were undertaken for each business and action plans were developed. Waste Not assisted North Shore City Council develop and deliver a cleaner production programme focusing on waste minimisation to businesses in the Barrys Point commercial precinct in Takapuna. A total of 75 businesses were involved in the programme. The businesses received an environmental assessment, including a visual solid waste audit. Results showed that businesses could divert an average of 80% of their solid waste using recyclers and waste exchange opportunities. The businesses responded positively and all participating businesses undertook at least three or more initiatives to reduce waste.